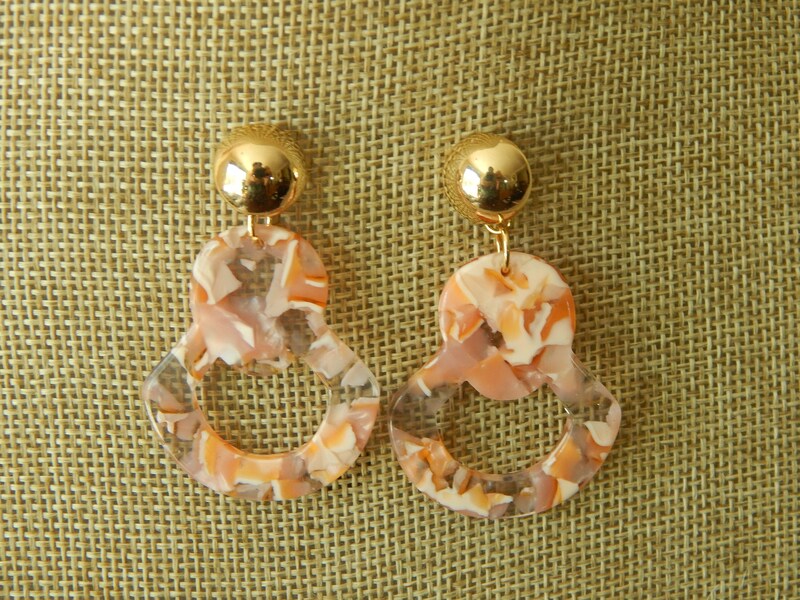 Multicolored tortoise shell rectangles hang from and 18kt gold plated posts. 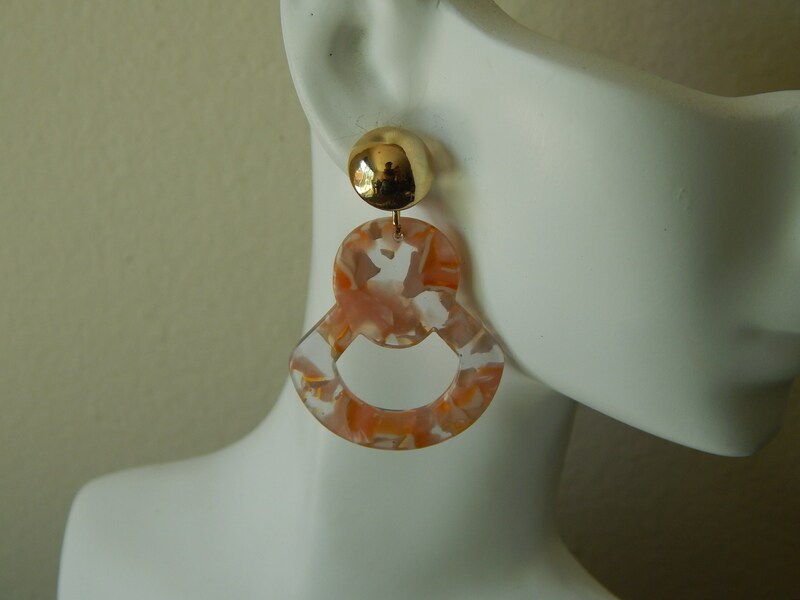 These earrings are super light weight and easy to wear you'll forget you have them on. 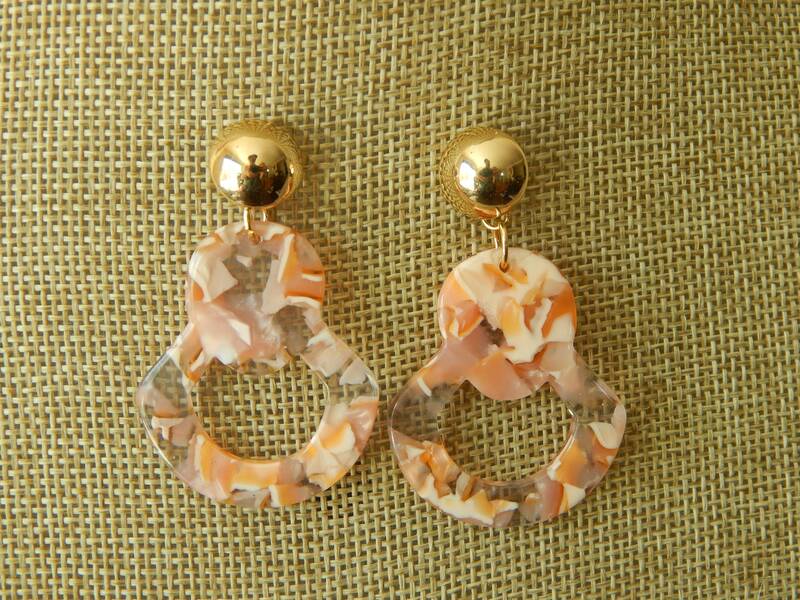 Wear anytime day or night for a trendy look.